Parenting is often described as a ever-changing and evolving puzzle for mom’s and dad’s to learn. 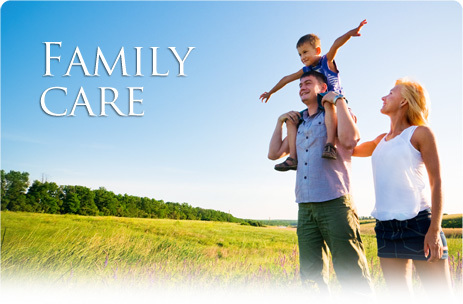 Healthcare and specifically ‘Family Care’ can be much easier with a Integrative approach. Did you know that ear infections can be a result of vertebral misalignment in the neck? How about muscle spasm in the abdomen causing upset stomach and constipation ? Our providers are trained in integrative healthcare because your growing family expects natural and holistic solutions to everyday healthcare problems. We have gentle and effective treatments for the bumps and bruises, sprains and strains that your children experience learning to crawl, walk and run . Our doctors recommend all children have a preventative spinal checkup at least twice per year, especially before they begin to wear backpacks and attend school. Peer reviewed spinal research has demonstrated the effectiveness of Chiropractic for children, as both a preventative and safe approach to correcting alignment problems in the joints and spine. Our providers offer additional preventative advice to ensure your child remains healthy.